Dental phobia affects as many as 15% of the U.S. population. However, avoiding the dentist can lead to a wide variety of worsening problems, which then require create extensive and expensive dental treatment. 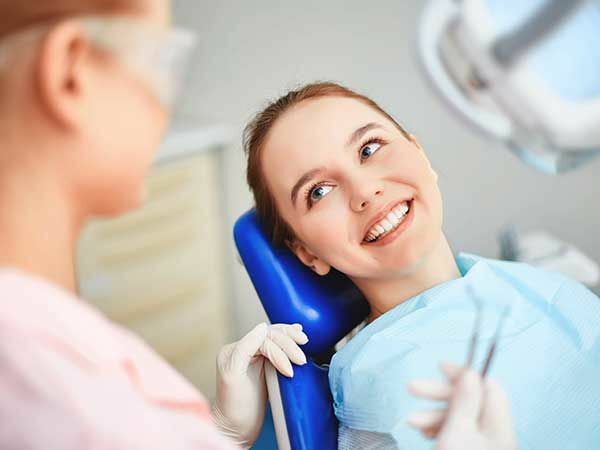 Sedation dentistry can get even the most nervous patient to successfully sit through dental treatments, meaning they can enjoy better oral health. Lasers have been revolutionizing the way in which medical and dental procedures are performed. Laser dentistry is much less invasive and more accurate than many conventional procedures, meaning more precision, less risk and faster recovery times. Not only does digital imaging reduce patient exposure to radiation, it also allows us to assess your oral health more comprehensively than ever before. Clearer images make identification of problems much easier, and if support from specialists is required, via email the images can be viewed instantaneously. Using digital imaging, we are also able to create impressions of how your teeth may look after many cosmetic dentistry treatments. Each patient and their mouth is completely unique, and wherever possible, so too should dental restorations be. Computer-aided design has allowed skilled technicians to create custom-built crowns, implants, bridges and more. This means that restorations fit and perform much better, and look as natural as possible, giving patients the discretion that they deserve. To find out more about the dental technology that we use at Today’s Family Dental, please do not hesitate to get in touch. Dr. Alex Afsahi and the team look forward to helping you and your family achieve and maintain exceptional oral health.